Many of you have enrolled as Mission Marketers and Preferred Customers. Most of you have opted to Autoship your orders. Fantastic and terrific! It really is the way to go. 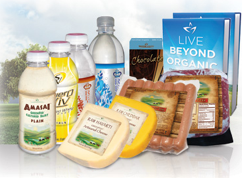 So now that you as you start enjoying the Beyond Organic products, I would love to hear from you. Post a comment on our "facebook comments" at the bottom of our website page. I am over the top about our very digestible Amasai beverage. I think its fabulous! I know you are all going to really rave about it too! You really notice the great effect it has on your system after drinking it for a while. For me, it eases your digestive track and removes any bloating. I also find my body really responds well to Amasai. I feel energized. It has a great taste...a very delicious yogurt beverage! 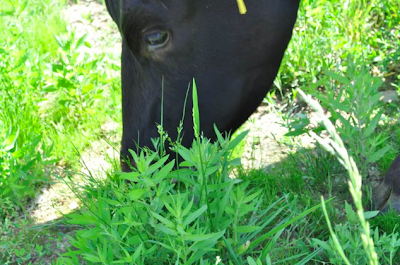 If you like cheese, you will love our GreenFed Really Raw Cheese. I'm someone who knock back cheese and crackers for a meals. The full and rich flavor of our GreenFed Really Raw Cheese packs a fulfilling punch. I'm actually satisfied with a snack size portion. Portion control and big flavor from organic foods is also the best way to manage your weight with minimal effort! Two things you will recognize as you experience the Beyond Organic line of products is they are very rich and taste like a whole food...full body flavor. They're very satisfying for the appetite which means you fill up quicker. There are some foods I have eaten and I'm still hungry for more soon after. That is NOT the case, for me, with Beyond Organic foods and beverages. I encourage all of you to enroll as Mission Marketers and Autoship your products to receive discounts on your purchase. There's also discounts on orders for all our Preferred Customers. New additions to our product line are coming soon!